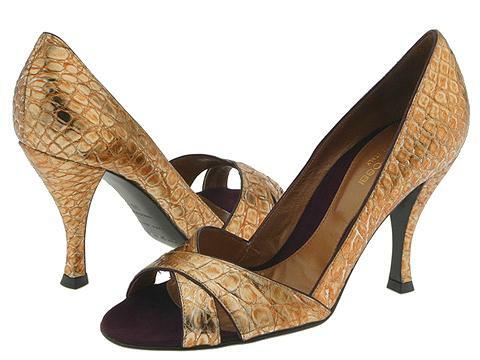 Stunning open toe pump with a criss cross vamp design. Metallic printed leather upper. Leather lining. Leather sole. Made in Italy.